Did You Know? Over $888 million in eavesdropping equipment is sold each year – just in the United States. REI’s portable spectrum analyzers, near-field detector, and broadband detector RF analysis tools quickly perceive transmitting electronic surveillance devices including hidden cameras, hidden microphones, and other eavesdropping bugs. Each of REI’s RF analysis tools detect the emissions given off by a suspicious transmitting device. 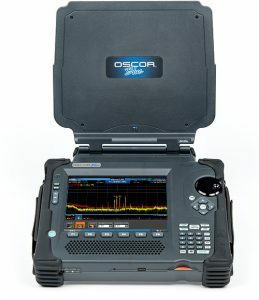 Equipment in this category range from the easy-to-use ANDRE™ for smaller operations to the advanced OSCOR™ spectrum analyzers for in-depth RF analysis. 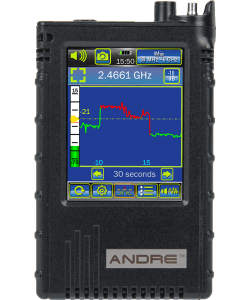 The hand-held ANDRE near-field detection receiver locates nearby RF, infrared, visible light, carrier current, and other types of transmitters. 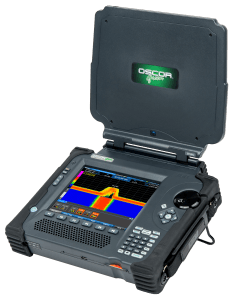 The OSCOR spectrum analyzers take you to the next level with Spectrogram, Persistence, and signal demodulation functionality. REI equipment is designed to work together as a suite of tools for the security professional. Combine our RF Detection tools with our Non-Linear Junction Detector, Telephone Inspection, Audio Security, and Video Inspection equipment for comprehensive technical surveillance countermeasure (TSCM) investigations.